Scientists agree that total darkness creates optimal sleeping conditions, but that can be easier said than done. 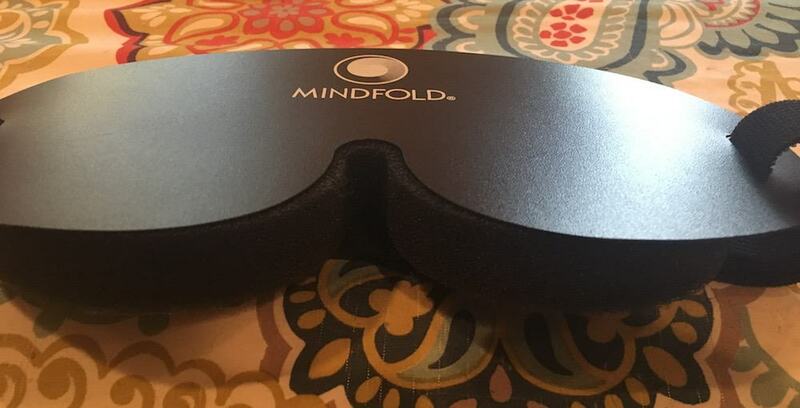 If you’re looking for a way to create blackout conditions without moving to a cave (or at least buying expensive window coverings), the MINDFOLD Sleep and Relaxation Mask might be just what you’re looking for. Does it offer the total darkness it promises? Read on to find out. Looking to improve your sleep mask game? Check out my best reviewed sleep masks! 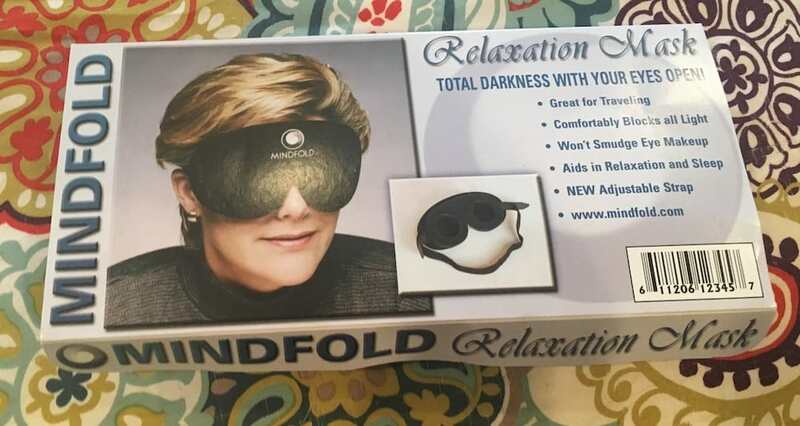 The MINDFOLD sleep mask’s packaging manages to be simultaneously comically dated (the MINDFOLD website says the product has been available for twenty years, and the marketing collateral clearly hasn’t been updated since) and extremely intimidating. A zip-top plastic bag that proclaims “I’M NEW Try Me!” [sic] and “Total Darkness With Your Eyes Open!” [sic] contains the MINDFOLD, a pair of earplugs, and a text-heavy cardboard insert that reiterates “TOTAL DARKNESS WITH YOUR EYES OPEN!” A woman with 1987 Princess Diana Hair wears the mask, which covers her face from hairline to cheekbones, in a photo occupying most of the left side of the cardboard insert, while a smaller, inset photo shows the reverse side of a mask, which looks like blacked-out aviator goggles. On the reverse side of the insert, we’re told: “MINDFOLD isn’t just a sleepmask. It’s a Relaxation Revolution!” [sic]—these people love their capital letters. The mask is huge. When I held my eyeglasses up to the mask’s eye holes, the edges of the MINDFOLD went about two inches beyond the arms of my glasses. But it’s surprisingly lightweight. The high-density foam used on the inside of the mask is springy, and the outer plastic cover is light and flexible, so the MINDFOLD isn’t as heavy as you’d expect it to be from looking at it. I noticed right away that the MINDFOLD’s headstrap was unlike anything else I’d seen in sleeping masks. Made from stretchy elastic, the strap has not one but two Velcro flaps, presumably allowing you to adjust the mask bilaterally but also opening you up to double the Velcro-induced tangles, and double the likelihood that the straps will get caught on, or pick up, something they shouldn’t. Wearing the MINDFOLD takes some getting used to. The foam pushes the mask out quite a bit from your face—for me, it came out about as far as the tip of my nose—rather than laying flat like the more traditional sleeping masks I’ve used in the past. And as expected, the double-Velcro strap gave me trouble, both in terms of adjusting (I didn’t ever know whether to pull the right strap or the left one) and getting caught in my hair. The MINDFOLD occupies a lot of real estate. It covered almost all of my forehead, went past my cheekbones, and jutted out a bit beyond the sides of my face. When I watched the video of myself in the mask, it looked like I was wearing those glasses that your optometrist gives you after your eyes have been dilated … but if they’d been hit with a growth ray. I can’t sleep on my back without having a coughing fit, so the most important criteria in a sleep mask, for me, is whether it allows me to sleep on my side. And because of its size and the materials used, the MINDFOLD didn’t make it easy. 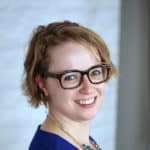 Unlike a traditional sleep mask made of fabric, the plastic front of the MINDFOLD, while reasonably flexible, did not wrap around the sides of my face when I laid down, and with it jutting out so far on either end of my face, it pressed into the pillow before my head did, redistributing the cushioning in a way that made it less supportive than I like. And moving the mask so that it put less pressure on my pillow meant that it was squeezing my bottom nostril shut. I had to do a lot of adjusting and readjusting—of my pillow, the angle of my head and neck, and the mask itself—before I was able to fall asleep. I got there, eventually, but going to bed shouldn’t take that much work. 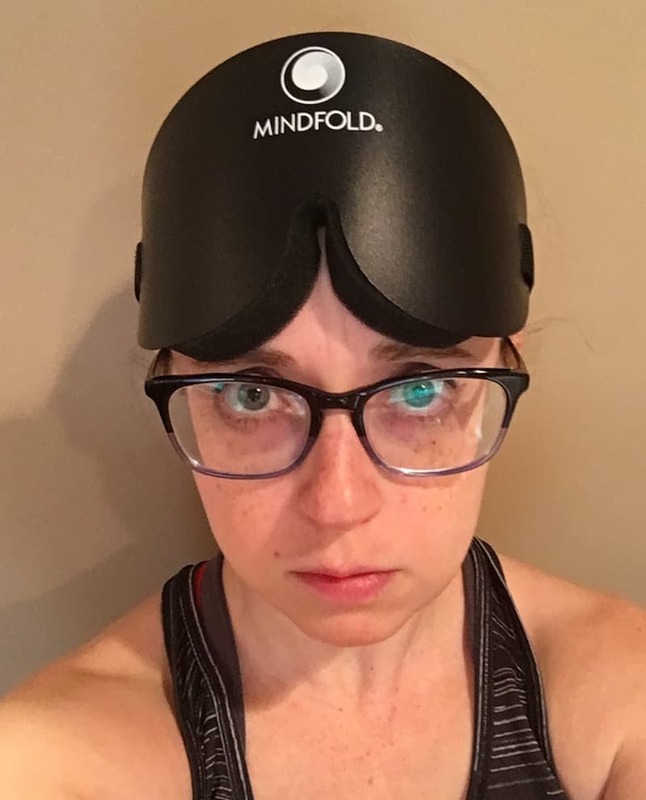 The MINDFOLD was my first experience with a mask that offered total darkness, and I was skeptical it would provide the blackness it proclaims twice before you even remove the mask from its packaging. But because the foam on the MINDFOLD pushes the mask far enough from your face that you can open your eyes fully while wearing it, I was able to test the promise when I woke up, and the mask certainly delivered. It’s a really surreal feeling to wake up, open your eyes, and see absolutely nothing. I even fumbled to turn my bedside lamp on while wearing the MINDFOLD just to see if shining a direct light at it would nullify some of its blackout properties, and no light snuck through. I don’t go to bed with makeup on, but I’ve been known to take a midday nap or two in my life—especially if I’m traveling for business—and in those cases, I don’t want to have to wake up and fix my face before I’m ready to show it to the world. Not only did the Mindfold block out all of the daylight coming into my house when I napped, but the deep eyecups on the MINDFOLD also kept the mask from rubbing my lids or lashes, so my makeup was mostly untouched when I removed the mask. I know that not everyone wears eye makeup (or cares about spending some time touching it up if they do), but if you’re a frequent napper like me and you’re also the right combination of too-lazy-to-redo-your-makeup but too-self-conscious-to-go-out-with-it-smudged, the MINDFOLD is a revelation—assuming you can figure out how to fall asleep comfortably while wearing it. Common Five Star Review: “This clever blindfold has approximately 3/4 inch of cellular foam on the backside. Before they glue it on, they punch two holes for the eyes, which will allow you to wear the MindFold even with your eyes open and see nothing but total darkness. 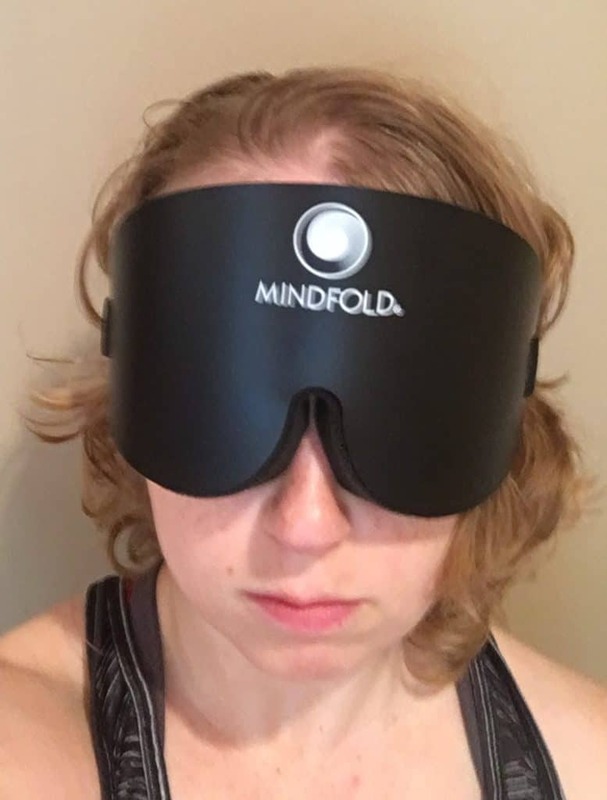 … no more eye lids rubbing against your current blindfold, either.”—I was definitely able to appreciate that I could open my eyes wearing the MINDFOLD to experience the total darkness, and that it didn’t rub against my eyes. These qualities might actually make it perfect for games that require a blindfold, too! Common One Star Review: “This item is good at blocking out light, but the sharp plastic edges make it uncomfortable to sleep in. Also, the velcro cuts into my ear while I sleep, and I always wake up during the night to take it off. 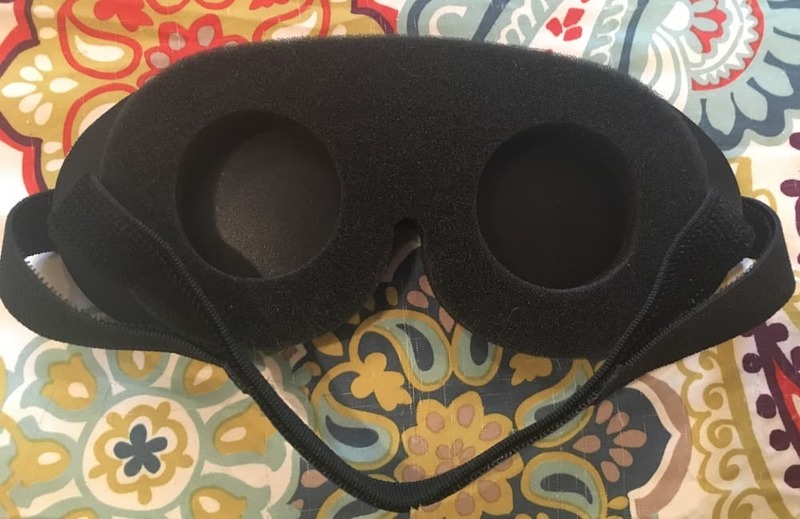 Might be good for meditation, but a definite no for sleeping in.”—I didn’t find the plastic edges to be sharp, but they definitely jutted out far beyond my face and did make it difficult to find a comfortable sleeping position. I was more annoyed with the Velcro for catching my hair (and also a lot of my cats’ hair) than for cutting into my ears, but I can see how, depending on how you adjust the strap, the strap could be irritating. 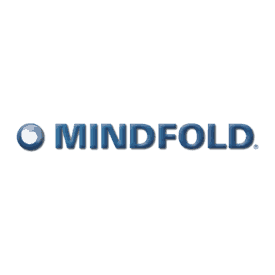 Other Options: There are a few other products called the Mindfold on Amazon, but they seem to be older releases of the product. Return Policy: Amazon will not accept returns of this product, but the MINDFOLD manufacturers promise to replace the mask if it is proven to be defective. Manufactured In: The MINDFOLD website and Amazon product listing don’t mention where the mask is made, but MINDFOLD itself is based in Durango, CO. 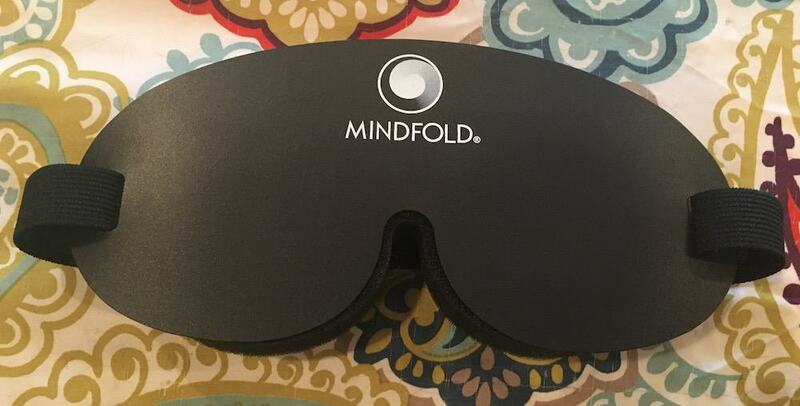 The MINDFOLD is pricier than many more traditional sleep masks but still totally affordable, especially total darkness is important to you—just know that side sleepers may have difficulty getting comfortable. How does it stack up to similar blackout masks on the market? Check out my other reviews to find out!